Happy National Scrapbooking Day to everyone who enjoys story telling and memory keeping in any of the many different forms. I have been scrapbooking since the days of 12×12 but I love trying different things so I created a pocket page using my Sizzix Sweet Baby Clear Stamps and Sizzix Alphabet Clear Stamps . It was a sheer stroke of luck that so many of my friends had babies earlier this year which made it very convenient to use these stamps. The colors of the Sizzix paper pads inspired the Copic marker colors I chose for the hollyhock flowers. 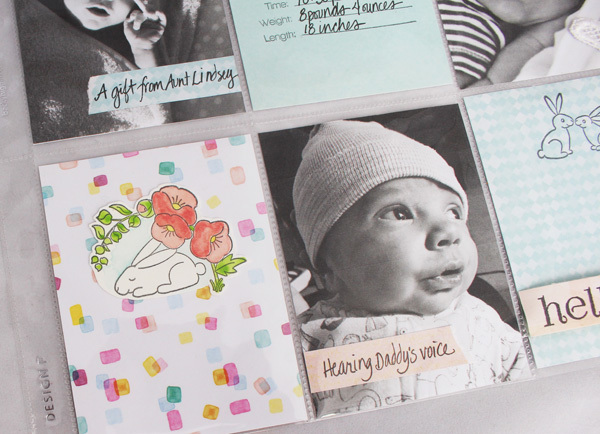 The stamps would work well for birth announcements and thank you cards but I also wanted to show how to use it on a scrapbook page. 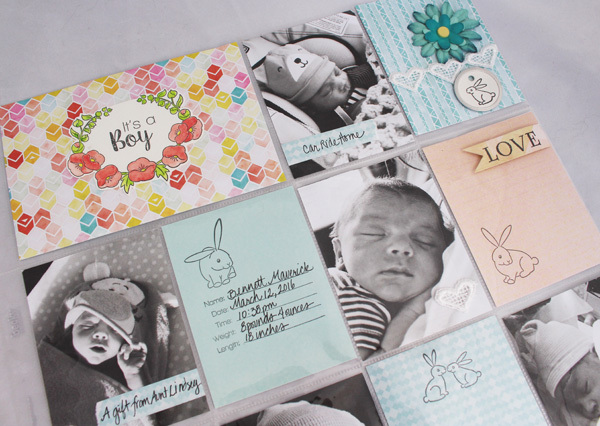 I even used these Sweet Baby stamps on an Easter tag here, on some Easter eggs here and for an embroidery piece here. I love sharing the versatility of these stamps. No matter what form you might choose to document your stories, it is so special that we all take time out on the first Saturday of May to celebrate our hobby. And if you happen to be in the Southern California area on Saturday, May 7, come by Scrapbooking Made Simple in Santa Clarita and join me in a Sizzix Make ‘n Take to celebrate the day. I am excited to be teaching on National Scrapbook Day. It looks like it will be a crazy, busy, exciting event and I can’t wait! So whether you hang out at crops at your Local Scrapbooking Store or enjoy a crop party at home with friends, prepare to be inspired by the projects we’re sharing on this blog hop. 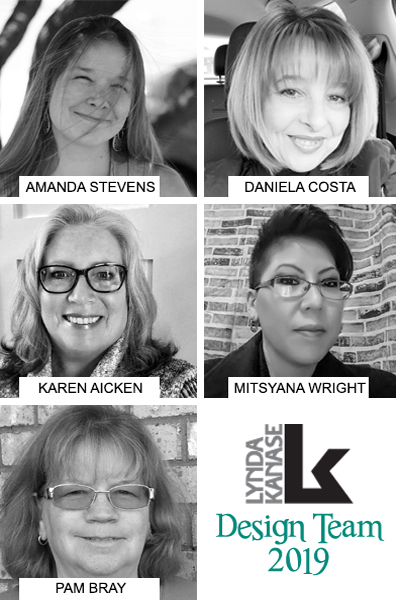 Thanks to Jennifer Priest of Hydrangea Hippo for organizing this wonderful group of bloggers and scrapbookers and be sure to stop by her blog for a chance to win an exciting prize. But before you go, please take a moment to visit each blogger in the hop list below. Enjoy! Beautiful pocket page Lynda! The bunny stamps are just darling! Hi Susan. Thank you so much. I’m glad you like the page and the bunny stamps. Thanks for visiting and leaving a sweet comment. Hi! Thank you for the wonderful comment. So glad you like the pocket page. Thank you for visiting. Hi Cindy. I love the name of your house rabbit! That is just so precious! Glad you like the stamp. Thanks for visiting. Hi Carla. Thank you so much for the kind comments. So glad you like the page. Hugs! Adorable page! It came together perfectly! Hi Bernice. thank you so much for this nice comment. Thank you for visiting. Just so cute! Love all the fun details you have in this pocket page! Thank you so much. Glad you like the pocket pages. Thanks for visiting. I really love the soft colors with the black and white photos. Hi Christy. Thank you for the nice comment. Thanks for visiting. So cute and fun, love the colors too. Thanks for sharing. Hi Sherry. Thank you for the kind comment. The colors are so sweet. Thank you for visiting. Thank you so much. Glad you like the pocket page.